A mag 6.0 - 40km S of Binuangeun, Indonesia, not too far from Indonesia's active and erratic Mount Agung volcano on the island of Bali is the sixth major quake of January and 2018 of course. The epicentre of the quake was less than 100km's from Indonesia's capital Jakarta, there is no tsunami warning for the shallow quake. All six major quakes this year have come as a coronal hole faced the Earth. 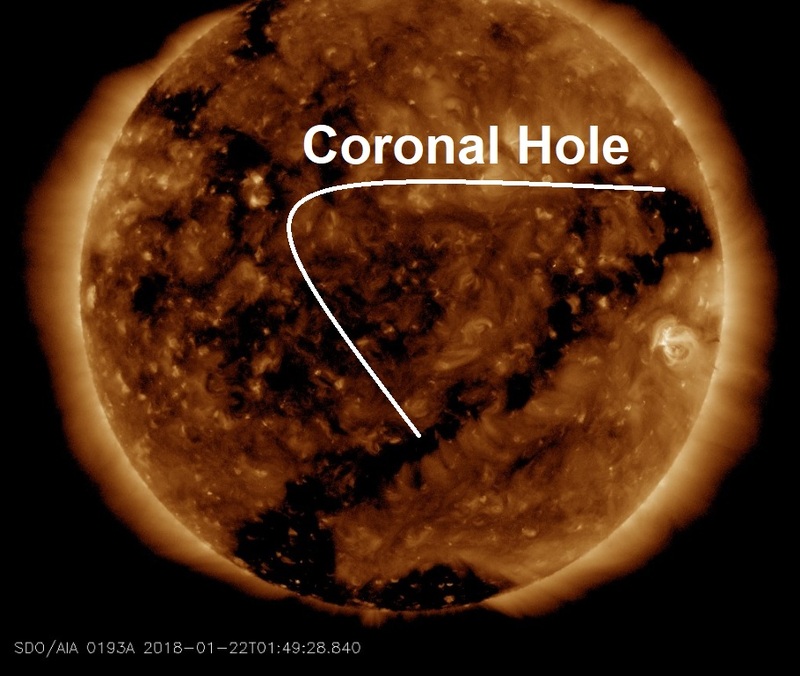 It is a Big Wobble project this year to document just how many major quakes occur during a coronal hole facing Earth, so far, it's 6 from 6, 100 %. 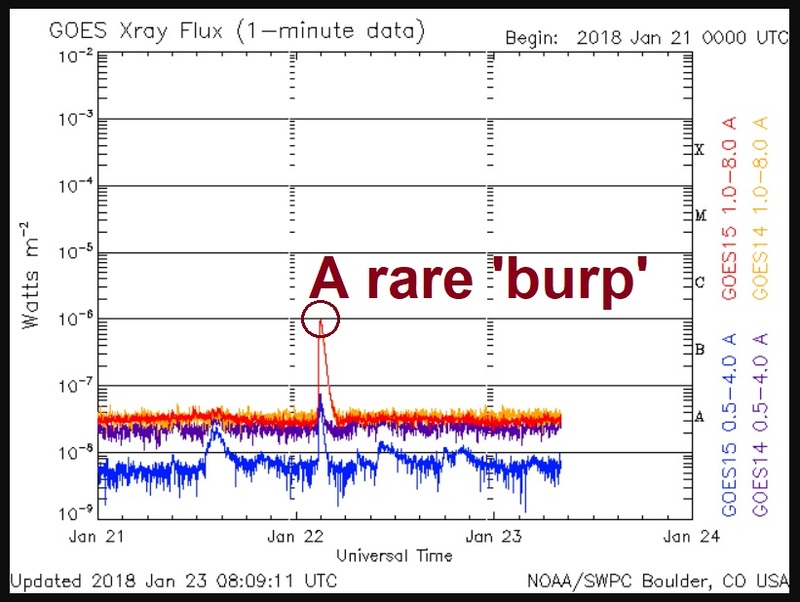 Our sun produced a rare "burp" yesterday, see graph above, as the Sun's sunspot activity has gone into hibernation due to the Sun entering Solar Minimum (Solar minimum is the period of least solar activity in the 11-year solar cycle of the sun. During this time, sunspot and solar flare activity diminishes and often does not occur for days at a time). However, sunspot AR2696 erupted yesterday well, it was more a burp than an eruption. According to Spaceweather.com, the explosion produced a minor B9-class solar flare and hurled a coronal mass ejection (CME) into space. Because of the blast site's location near the sun's western limb, the CME is unlikely to hit Earth. Nevertheless, NOAA analysts are modelling the CME's trajectory to rule out an impact.